Do you want a sample library with lush pads and rhythmic pulses? Then you will love PADS by Umlaut Audio. PADS by Umlaut Audio is a fantastic sounding and inspiring Virtual Synth Instrument for Konatkt and the Free Kontakt Player that is very useful for musicians and composers of electronic and cinematic music. PADS is a great buy at $149. with over 80 soundsources and over 140 presets. As you would imagine from the name, PADS is based on a sample library of natural and orgainic textures and pads. The sounds are lush and beautiful and varied with many sound sculpting options. What you may not realize is that PADS is also a rhytmic monster with a built in step sequencer that is capable of delivering an amazing variety of envelope modulated pulses and moving sounds. It’s so easy to get great sounding sequences. There is even a RANDOM BUTTON to randomize the ENV Modulator parameters. As you can see from the interface it is simple and easy to master, yet PADS does offer a full range of sound sculpting capabilities. Out of the box it is loaded with gorgeous and inspiring sounds. Of particular note is the random button which shuffles the soundsources and allows for fresh new combinations of sounds using the 2 layers. As installed Pads is very large coming in at 4.56 GB and offers 3 types of presets. 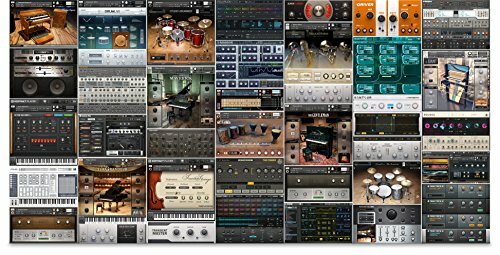 PADS is a great sounding Kontakt Instrument with a very nice library of sounds. The presets are inspiring and it’s easy to customize and create unique new sounds. I highly recommend PADS for anyone that enjoys sound design and is looking for something verstaile and capable of unique pad sounds, atmospheres, textures and rhythmic pulses. Documentation is very thorough but you may not even need it. PADS is very easy to tweak and customize.